Sri Lanka's best tour guide! Asanka Travels is run by Asanka himself – an experienced english speaking tour guide who has been showing tourists his beautiful island country for over 12 years. Not many people know Sri Lanka the way Asanka does – his breath and depth of knowledge is hard to find. Major tourist spots like Nuwara Eliya, Unawatuna, Adam’s Peak, Trincomale, Kandy and Yala National Park are more than familiar to him. He even has extensive experience driving across North East Sri Lanka as he used to (and still drives) NGO staff to these post conflict areas. He’s a perfect guide for Sri Lankan Tamils who are looking to retrace their roots. Traveling with Asanka is such a convenience because of his ability (and confidence) to communicate in English. This has allowed him to advice his clients on a variety of travel related topics ranging from when you should travel to a particular location to how much you should be paying for lunch. He’ll even help you get the right local prepaid line if you need to stay in touch with home! His ultimate aim is to make your visit to Sri Lanka as memorable as possible and he will do what it takes to make sure you leave wanting more. 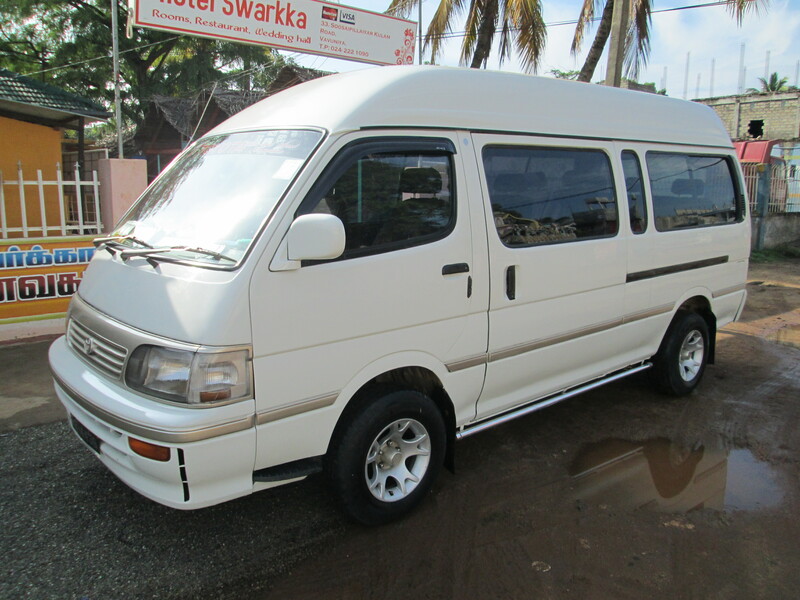 For more information on Asanka’s travel services please contact him directly at 0094 077 6946 403. He is also reachable via email at asanka.buddika2@gmail.com. Feel free to communicate with him in English. It’s best to contact him on his mobile as the nature of his job requires him to be on the road most of the time. In case you are not able to contact him via phone and choose to contact him via email he will be able to reply within one week. For fee enquiries, Asanka will be happy to prepare a quote for you based on your travel itinerary and group size. 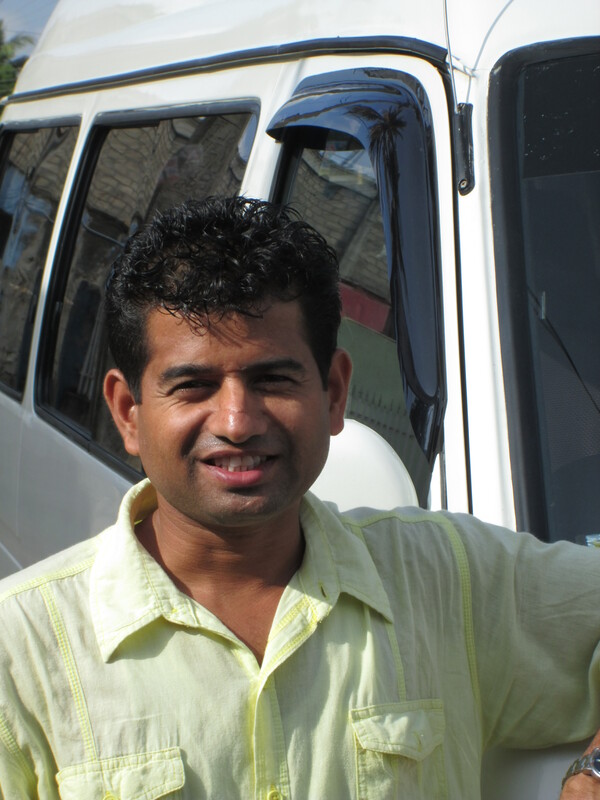 Asanka cleans the exterior and interior of his van EVERY morning. 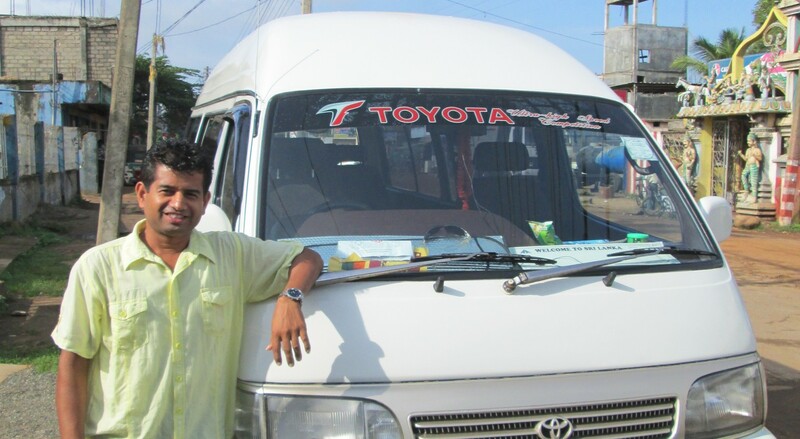 In his 12 years of driving across Sri Lanka his van has only broken down on him ONCE! Even then, he got his van back on the road within 20 minutes! 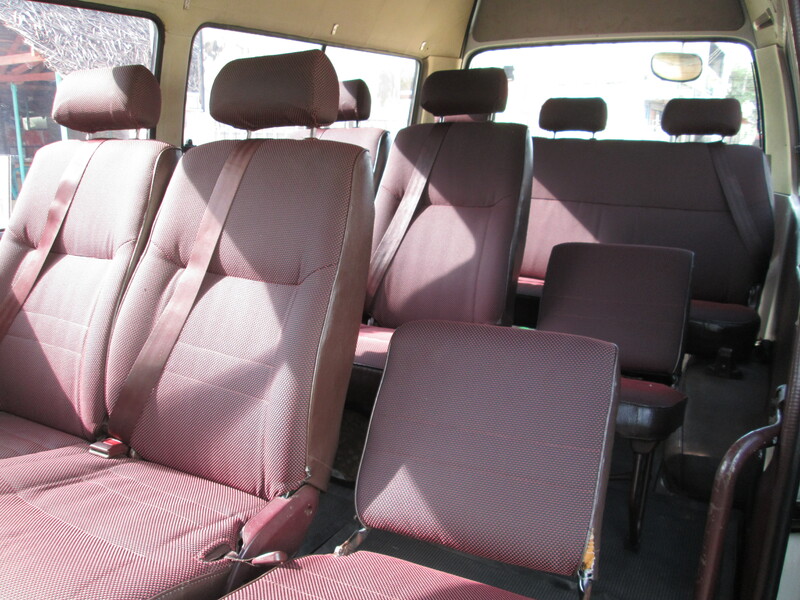 The van seats 6 adults with large luggage and 10 adults without luggage. 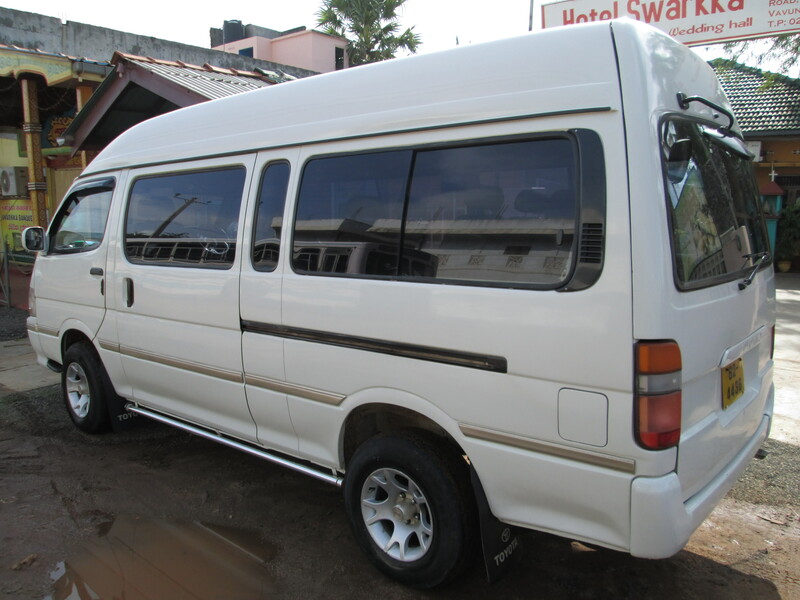 If you’re just bring along small cabin bags his van will be able to seat 8 people. Asanka adheres to international road rules – ensuring he does not risk the safety of his passengers.